Have no plans for your children today? Take them on a day trip throughout Connecticut and have them familiar with their surroundings. Bring them to places to prove that Connecticut is the best place to be living in. Don't know any places to take them, no worries. Below is a full detailed list of attractions you can take your kids! Have a good time! 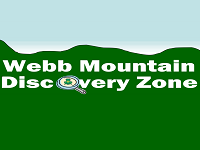 Every program offered at Webb Mountain Discovery Zone in CT is definitely the best for your kid's day trip experience. The most wanted exploration and learning can be achieved, not to mention the additional fun filled adventure that the Discovery zone has. It's absolutely the perfect place for your day time expedition. Have your way at Webb Mountain Discovery Zone in CT and let your kids discover amazing facts beyond their imaginations. It is perfect for all ages so you can also have a great time on your day trip experience. Be there! Barker Museum in CT is absolutely the best day trip for your kids. Their amazing collections of comics and cartoons will definitely give them the most delightful experience that they always desire. From character toys, artifacts and comic books, everything is definitely amazing for your children. 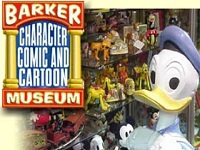 Have the best day trip with your kids and family at Barker Museum in CT. They are open every Wednesday through Saturday from 12 noon to 4 pm. Make sure to set your schedules and bring your precious kids to their place. It's all going to be worth it. 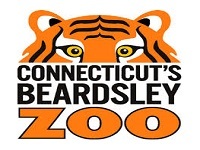 Your kids deserve the best unforgettable time on their day trip experience so bring them to Connecticut's Beardsley Zoo in CT, the best place that they will surely love. From the variety of animals that they can witness up to the most overwhelming hands on experience on their exploration, everything they will absolutely enjoy. The unique expedition on their ordinary day will turn into the best trip that they will remember forever. They are open 9 am to 4 pm daily so there is absolutely no reason not to visit the place. At Connecticut's Beardsley Zoo in CT, the day trip experience is always a must. 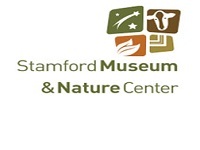 Stamford Museum & Nature Center in CT is absolutely the place for your day trip experience. Your kids will have enough time to explore and discover a lot of things. From their amazing exhibits up to their kid friendly programs, the fun and excitement never stops. So make a memorable day trip to the museum. You can check their calendar for more of their upcoming events and visit the place 9 am to 5 pm daily. The fun adventure of your kid's day trip expedition is always guaranteed the best at Stamford Museum & Nature Center in CT. Be there! 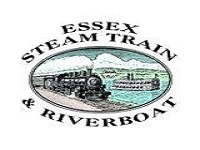 You will never get enough of Essex Steam Train & Riverboat in CT during your day trip moments. The best ever train offers a variety of fun filled services that both you and your kids will love. Such perfection for entertainment and relaxation is one hundred percent guaranteed for you and your family. So have the best time of your life and experience Essex Steam Train & Riverboat in CT for it can absolutely give you the most amazing feeling and memory that you will never forget. Have fun! Forget every plan you have in mind because Collinsville Canoe & Kayak in CT is the absolute place to be for your day trip adventure. Both you and your kids will have the best time of your life because of the fun filled adventure that starts at their place. 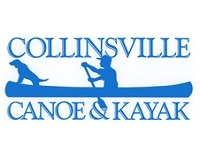 Come and set your schedules and experience the best day trip at Collinsville Canoe & Kayak in CT. It is a one of a kind experience that you and your kids will surely love to have. See you there! 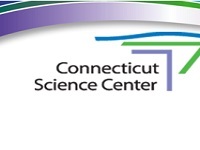 Bring your kids to Connecticut Science Center in CT and let them have the most educational day trip that they deserve. A day with fun filled learning is guaranteed to you at their museum. From exploration and discoveries, events and exhibits, the exciting moments are the best at their service. So plan your visit to Connecticut Science Center in CT now and experience an amazing day trip exploration because your kids actually deserve the best. They absolutely have all the elements to give your family the best day trip. Looking for the best day trip experience that you can enjoy with your kids and family? 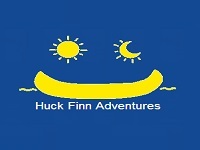 Worry no more for Huck Finn Adventures in CT offers you more than what you need. The exciting experience of canoes and kayaks is certainly the best so there is no reason for not liking it. Have fun with their amazing services and enjoy your wonderful day trip experience at the river of Farmington because Huck Finn Adventures in CT is absolutely what you are looking for. Go on a ride now! The most fun and amazing adventure is at Farmington River Tubing in CT, one of the best places to have a day trip experience at. With specially designed river tubes that will run 2.5 mile down the river of Farmington, you will not only enjoy the ride but also the scenic view of the place. So what are you waiting for? Enjoy and experience the best day trip that your family and kids will never forget, because Farmington River Tubing in CT will give you an amazing thrill while you splash through the white water. Go now and experience the fun. Experience the best day trip adventure at Mystic Seaport in Connecticut. You can surely have an amazing day with their offered services such as the ship to shore excitement and historic vessels. Your kids will absolutely be amazed because of the untouched wonders of the historical treasures of the city. 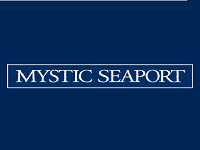 Bring them to Mystic Seaport in CT from 9 am to 5 pm daily and let them have the most wonderful day trip adventure that they deserve. General admission may vary from $15 to $24 but it's all going to be worth it.